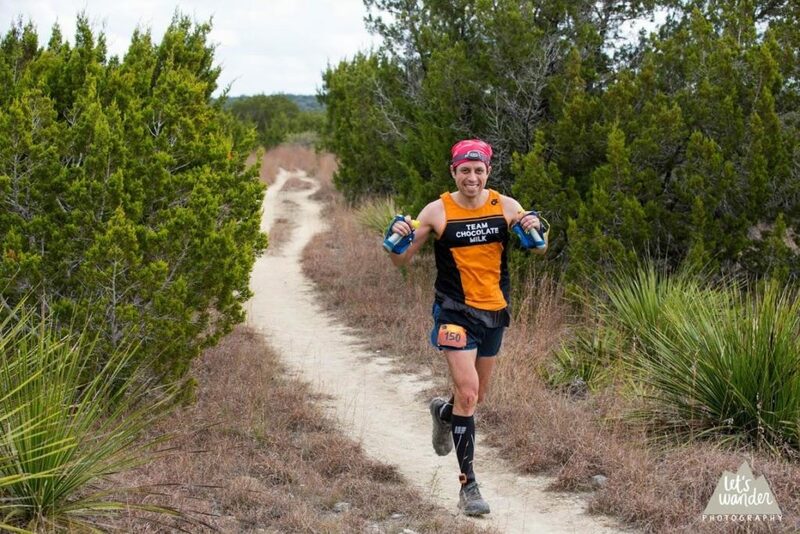 Bandera 100k was my first at the distance and my first at toeing with top-notch trail runners. Here is a bit of my weekend. I flew out from DFW to San Antonio pretty early and I got a chance to go to lunch with my cousin Gaby and her boyfriend. We had a nice lunch and a great chat, it had been just about 2 years since I last saw her. So, we did a bit of catching up! 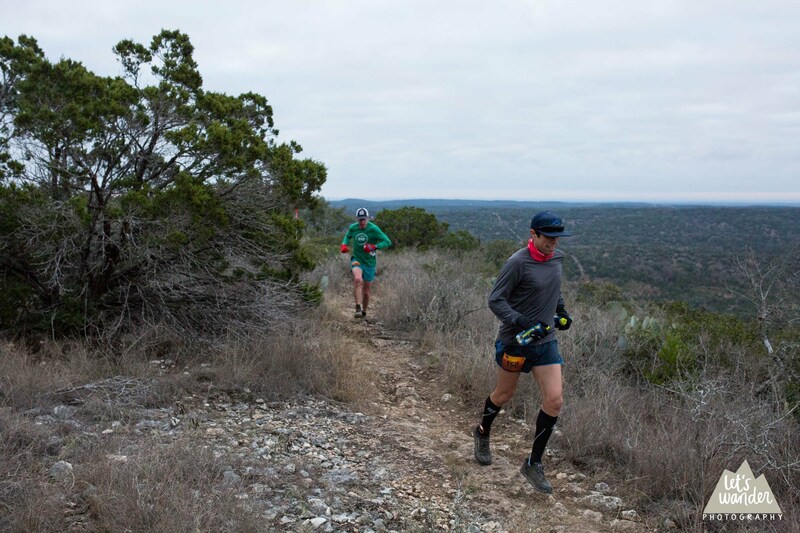 After that, I drove to Bandera for the briefing and packet pickup, that is when my nerves went into play. If you have ever been with me the day before, you will know I feel the nerves the day before, so it started pretty early on. Then I headed to the Flying L Ranch where thankfully Rick S. invited me to stay otherwise, the plan was to sleep in a rental van. I met up with Rick and we went to have dinner to a place where they had the best Mexican food. I had a giant burrito and Rick had eggs. After that, we went to the hotel where I started preparing for the run. I was pretty nervous, so I watched some T.V. Then, it was time to go to bed. I don’t even know if I got enough sleep! Race day, I woke up and did my usual preparation. We left the room and drove to the start of the race. I took my drop bags to the pickup trucks that would have the bags taken at their respective places. We were a bit early to the start so I went back to the car and sat inside until it was time for me to use the restroom. I went to use the restroom and it was time to start the race. So, I had to run to the start line – nothing new for me! Ha!. We started immediately after I arrived, everyone started pushing the pace. I noticed I was breathing pretty heavily and I checked my watch, I was running at 6:30 pace going up the first hill, I told myself to back off from that so I did. Then I felt into this ugly pace because I didn’t recognize the terrain and I think I was going slower than I was planning. Plus I didn’t want to be pushing myself on the first lap. The first Lap was just yucky! to say the least, I was staying too conservative with my pace. I was feeling pretty good for the first lap around. The first few miles were exploratory and character builder when I was cut on my legs with the vines from this plant that surrounded the trail. I was bleeding profusely from my legs, the plant was cutting my legs and I could feel those sharp razorblade like leafs when they touch my skin. That kept me awake! I was done with the first lap in 5:30 hrs. I was fortunate to see Rick on my first lap finish, he got 2nd place in his age group and that made me so happy to hear. To tell you the truth that gave me the push I was wanting, I told him I was so conservative in my first lap and I was going to push it. I felt pretty good! so, I went on the second lap. This second lap was a bit of a struggle! In the beginning, I felt so good so I pushed through the trail at a faster pace. I felt tired at around mile 40 so, I started eating the VFuel gue packs I picked up at one of the water stations. I read the label and it said it was vegan, so I trusted the label. What I didn’t know it was that it had concentrated sugar and caffeine. I noticed I was sweating cold sweat and my stomach started hurting at mile 45ish. I approached the water station at mile 51 where I had my UCAN shake. I drank that shake like nobody’s business, the pain in my stomach was intensifying but I kept on running. I knew the pain would go away once the UCAN kicked in. So I kept going and the night was coming fast. At that time I was pushing my pace to avoid going up the hills/mount tops in the dark. So, i reached the last water stop and I wanted to use the rest room so bad. I asked the volunteers about a port-a-potty and there was not one. So, I was asking around for some t-p. lol T.M.I.??? lol skipping.. I left the last waterstop so I had roughly 5 -6 miles left. I was going as fast sa I could at night, I was so focused because the trail is so technical. I managed to ge to the last fork, but thang I didn’t remember that fork so I started looking for signs, great that sign says to go right for the 100k I took off like a bat out of a cave. I looked at my watch and said, yes i’m almost there. My watch says 62 miles yes, i’m here! but this is not the finish line. crap! I got lost. so, I went a bit longer to see if I had miss or maybe my garmin had register less miles. I kept going to the top of the hill/mount and said, nop, that is not the way. I went back to the fork to see the signs and the 100k was pointing to that direction where I came from. So I went back out and this time I went longer to the other side of the mount. I was getting cold, I was wearing my tank top and so I started back tracking, I didn’t hear anyone or anything near me. So, I started shouting “Heloooo” “ANYONE”….”HELP”… multiple times. with not a single response. I kept on running back to the fork where I was going to wait for another runner to come by. I kept on shouting when all of the sudden a couple of hickers with their back packs and all came from out of nowhere! they were hicking! they asked me if I needed help. I told them I was lost, this was my 2nd lap and I can’t seem to find the finish line. I told them I had run over 65 miles and nothing. So, the guy told me go back to the fork and make a right, you are about 1 mile from the finish line. So I said thank you and took off like the wind and sprinted to the finish line. I reached the finish line sprinting and I heard people saying “he is sprinting after running 60 miles”.. I thought to my self, if they only knew I ran more than that! ohh well! I told the finish line helpers to put a sign at the fork where I got lost. … I came to find out that is where Jim and the front of the pack from last year got lost! and nothing was done about it this year! I do blame myself for not studying the map and making sure I knew where I was!. I had a great time despite the getting lost. I will be coming back! Thank you to all of the volunteers and thanks to those hickers!